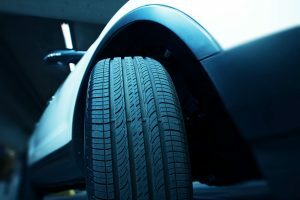 Irrespective of the tyre type and size you are looking to install in your vehicles, we have the wide range of tyres in different sizes and types to fit your needs. At Sunshine Tyre Shop, we understand your needs very well and do our utmost to satiate them. Feel free to take a look around the site or feel free to call us on 1300 651 273 to speak to one of our friendly representatives. At Sunshine Tyre Shop, regardless of the location you are in Australia, we distribute and deliver our cheap tyres to the specific location. The highlight of our tyres is that they boast high-grade quality with an unbeatable durability rate, also beating any price anywhere in Australia. At SunShine Tyre Shop, we are committed to ensuring that our every customer must retrieve the best value of his or her money on the tyres they have purchased. We take pride in offering dedicated customer service, putting the customer at the top of priority to ensure they leave contented. Drop into our tyre store and see us today at or contact us on 03 8528 3302 or on our email info@sunshinetyreshop.com.au. We will effectively deal with your enquires you have about your vehicle. Sunshine Tyre Shop has been the favourite destination for all of your tyres substitution and auto service needs. Servicing customers across the Melbourne and offers cheapest tyres Melbourne, our locations are backed by the top suppliers in the business. These relationships give us way in to some of the major listing in the market. This means that your tyre dimension, make and model will never be out of supply. © 2019 Sunshine Tyre Shop. All Rights Reserved.